What is communicated when an outsider portrays someone from another culture? 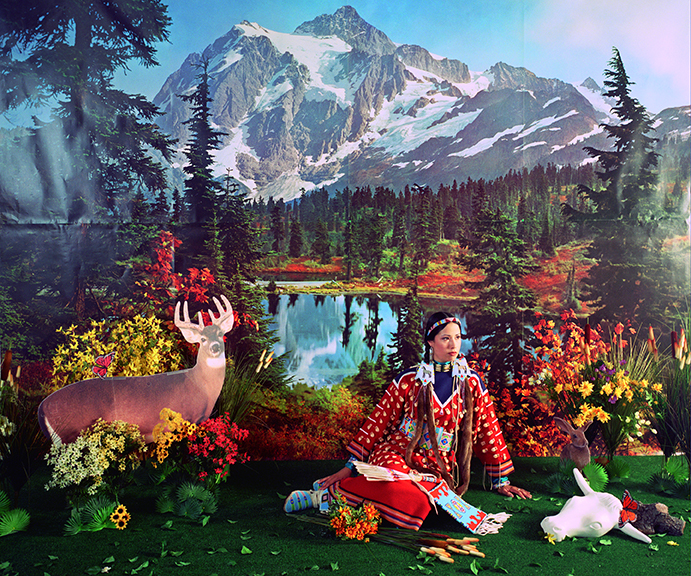 In order of appearance: Wendy Red Star (Apsáalooke Nation, born 1981), Four Seasons — Indian Summer, 2006. Archival pigment print on Sunset Fiber rag, 23 × 26 inches. Tacoma Art Museum, Gift of Loren Lipson, 2017.4. Photo courtesy of the artist. 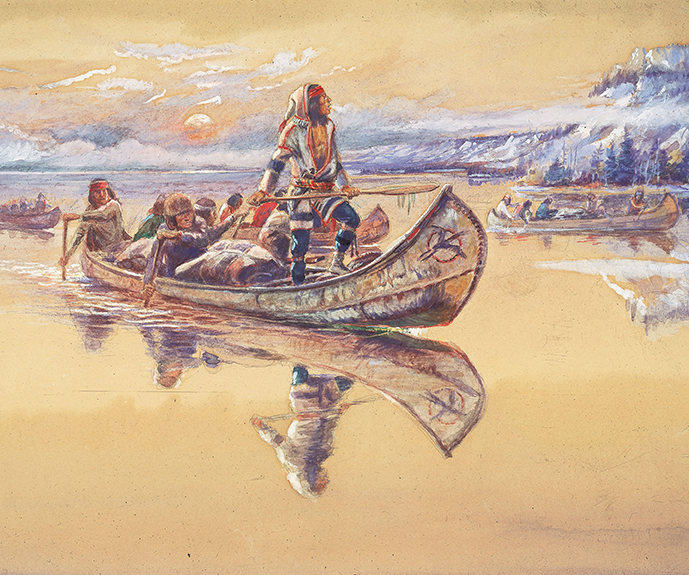 Charles M. Russell (American, 1864–1926), Indian Canoe Party (detail), 1906. Watercolor on paper, 13¾ × 21⅝ inches. Tacoma Art Museum, Haub Family Collection, Gift of Erivan and Helga Haub, 2017.14.42. Photo © TAM, photo courtesy of Laura McCurdy. 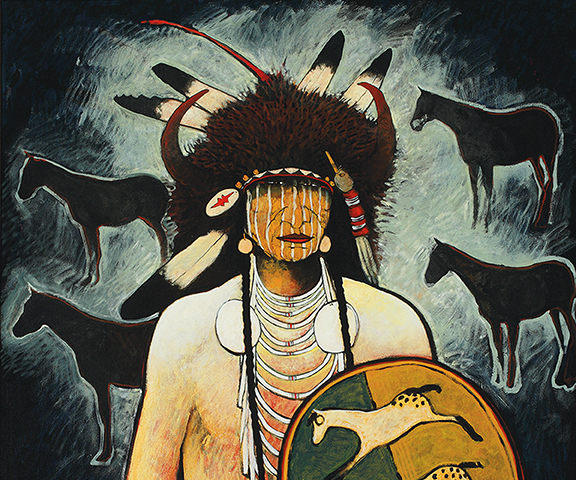 Kevin Red Star (Apsáalooke Nation, born 1943), Buffalo Horse Medicine (detail), circa 2007. Mixed media, 44 × 40 inches. Tacoma Art Museum, Haub Family Collection, Gift of Erivan and Helga Haub, 2015.29.12. Photo © TAM, photo by Richard Nicol. 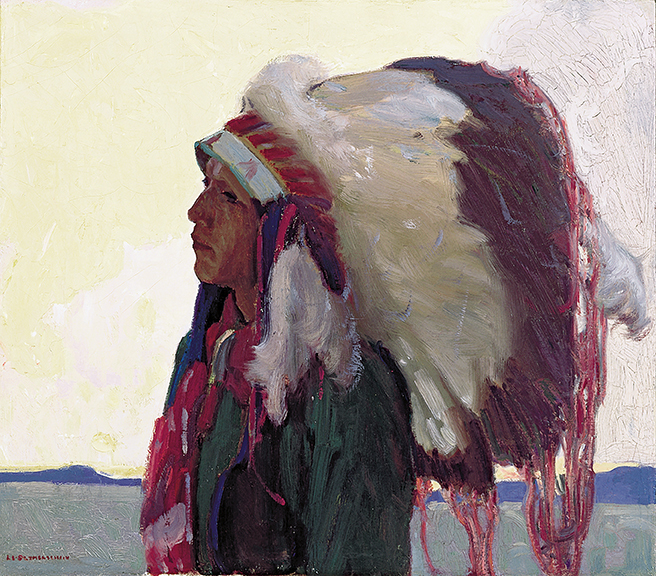 Ernest L. Blumenschein (American, 1874–1960), Taos Indian Chief, circa 1915. Oil on canvas, 14¼ × 16¼ inches. Tacoma Art Museum, Haub Family Collection, Gift of Erivan and Helga Haub, 2017.14.8. Photo © TAM, photo courtesy of Laura McCurdy.